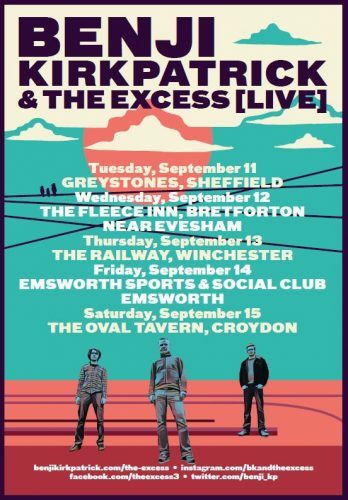 Benji Kirkpatrick and The Excess – five date tour in September. Whilst being at the heart of various successful bands, big band folk trailblazers Bellowhead; power folk trio Faustus; the Seth Lakeman Band, Benji was busy writing material for his own project, which now takes form – The Excess. A trio: comprising of fellow Bellowhead band mate, Pete Flood on drums and Pete Thomas (Megan Henwood and Jackie Oates). on double and electric bass. With Benji leading on bouzoukis – electric and acoustic – and guitar the band stoke up rhythm’s, riffs and uproarious, soaring melodies; sometimes cacophonous, sometimes stark and raw, sometimes sensitive, always powerful. With a pack of new songs at the ready they will also draw on material from Benji’s critically acclaimed Boomerang album as well as a choice selection from his 2015 release Hendrix Songs, re-interpretations of the work of one of his musical heroes, Jimi Hendrix. Opting for the classic power trio line up, Benji’s writing is brought to life with this fresh, vibrant sound and is propelled in an exciting new direction. 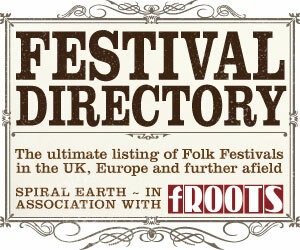 This exciting new venture is playing five dates this September starting tomorrow so be quick if you want to catch them ! !